Grease Duct Cleaning in Santa Ana CA | Flue Steam Inc. 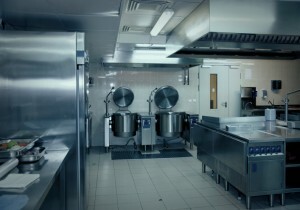 Protect your commercial kitchen with grease duct cleaning in Santa Ana CA. 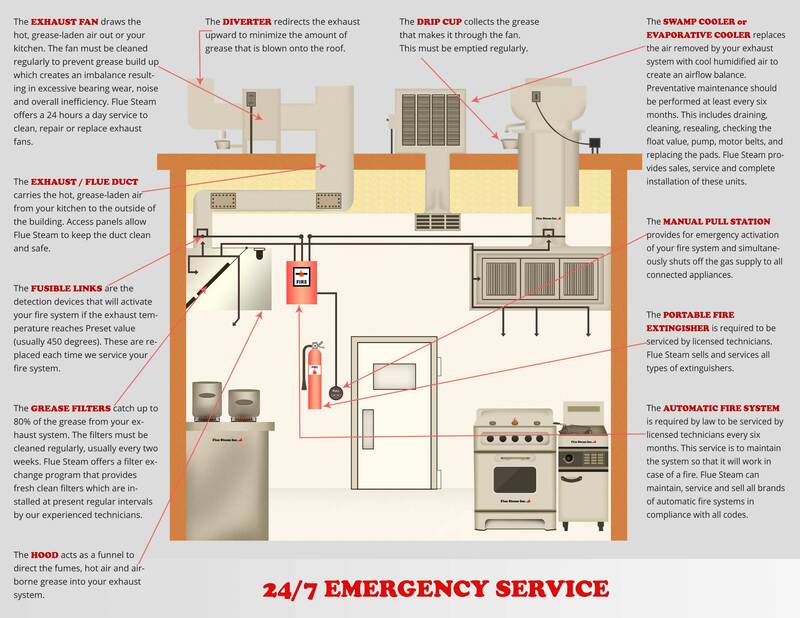 If you own or operate a commercial kitchen, no doubt you already know you need routine grease duct cleaning in Santa Ana CA in order to keep your kitchen up to code and to help reduce the risk of a fire. But do you already know who to call for this service? Wondering why you should choose Flue Steam to provide your grease duct cleaning in Santa Ana CA? We have over 40 years’ experience in the industry. Over the course of our 40 years of experience in kitchen air control and fire suppression, we’ve developed a reputation for excellence in the quality of our work and in the caliber of our people. We have ample experience in meeting and exceeding code requirements for clean and safe kitchen ductwork. We employ certified technicians. We are an IKECA member company, which means our employees have completed various training courses with International Kitchen Exhaust Cleaning Association. Because IKECA certifications are not given for life but must be renewed periodically, you can rest assured that our employees will always have the skills and knowledge required to complete grease duct cleaning in Santa Ana CA up to the latest industry standards. We help you tailor your cleanings to the needs of your business. When it comes to the frequency of grease duct cleaning in Santa Ana CA, you may not need to abide by the industry guideline of a hand scraping every month. After all, depending on what you cook, your kitchen ducts might accumulate grease faster or slower than average. We can measure grease buildup on your duct walls using an IKECA comb. This tool will help check that the ducts are dirty enough to require a cleaning, as well as prove that they are clean after we’re done. This helps strike a balance so you don’t risk costly overcleaning or dangerous undercleaning. We make it easy to schedule cleanings. We are happy to provide after-hours grease duct cleaning in Santa Ana CA so that our work doesn’t interfere with your business. Our technicians will leave you with a special sticker after a cleaning to help prove to code inspectors that the work was done properly and also help you remember when your next cleaning is due.